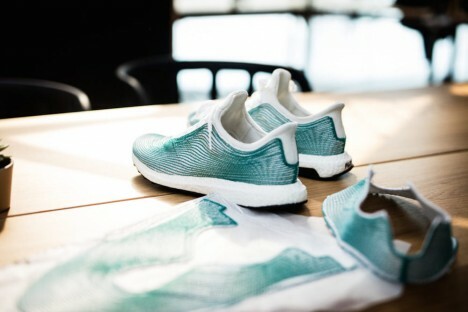 Upcycling rarely looks so sleek as it does in this collaborative project between a shoe company and ocean artist collective, which uses plastic bottles and nets to make fun new footwear. 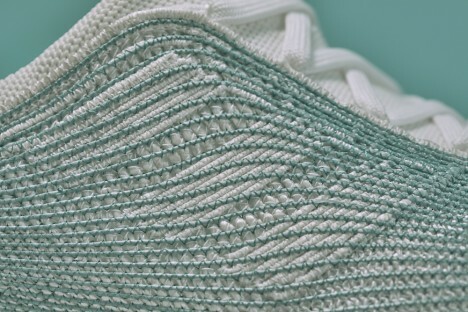 Stitched together with fishing nets, these shoes by Parley for the Oceans and Adidas are part of a 50-pair prototype run. 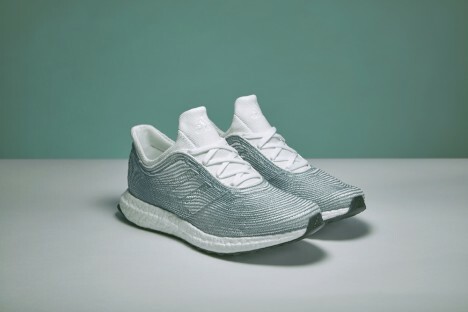 Each shoe is made of over a dozen plastic bottles. 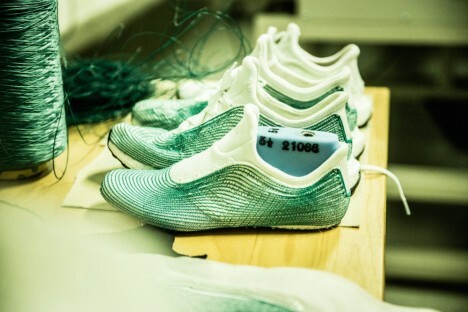 The trash is collected, spun into fiber and turned into high-performance shoes. 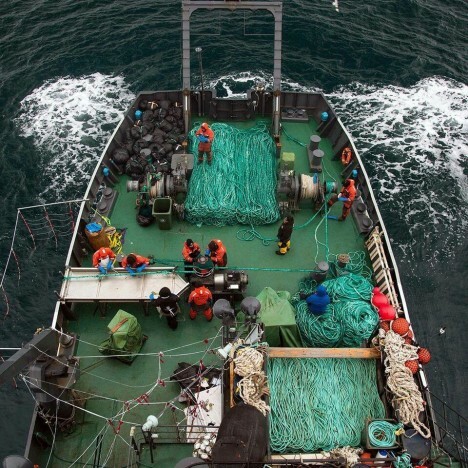 The trick is to scrub that fishy smell out of the nets before using it to stitch sneakers. 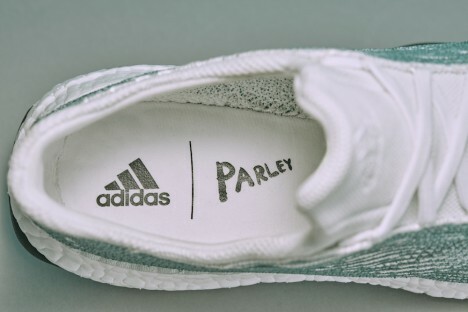 Parley partners with marine nations like the Maldives, Grenada and Jamaica to clean up fisheries and oceanfronts, teaching locals to gather, recycle and reuse plastic waste. See more in New Materials or under Science. July, 2016.